The dUg Pinnick Signature Ultra Bass 1000 is a 2-channel bass amp head with an all-analog pre-amp and 1000-Watt Class D power amp. It was designed in collaboration with dUg to create a single amp capable of achieving the unique sound he developed by running a guitar amp and a bass amp together, along with a rack full of effects, to merge high-end distortion with low-end bass. There is an unconventional structure to the channels. Rather than switching from one channel to the other, the intent is to use both channels mixed or Channel 2 by itself. 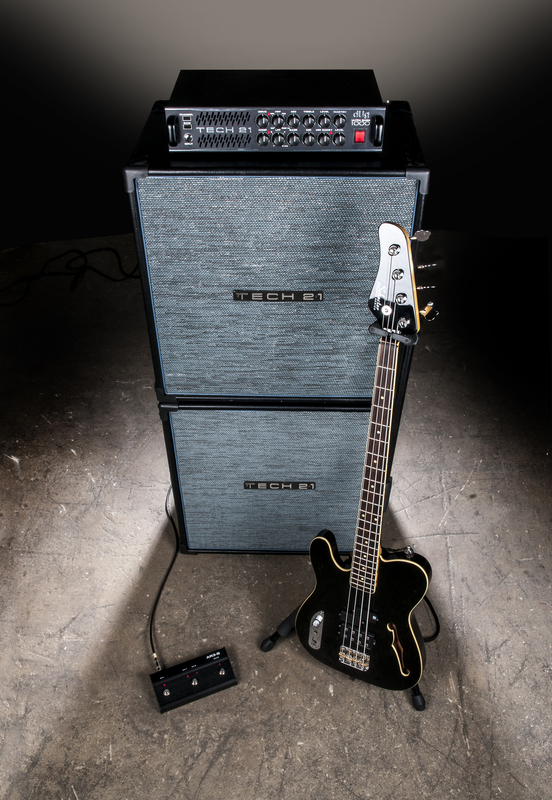 Channel 1 handles the role of a distorted guitar amp and Channel 2 provides a clean pre-amp and compressor for a more traditional bass amp sound. Mixed together, you get dUg. 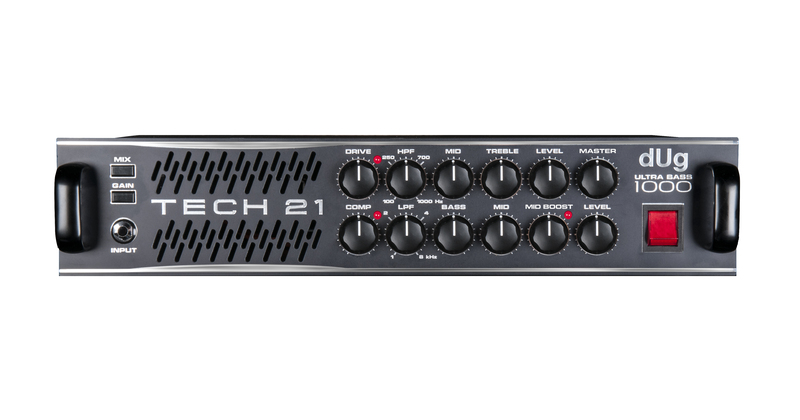 Other features include SansAmp XLR Output that works like a built-in direct box to deliver the true tone of the amp to the PA desk or studio board without compromising detail, warmth or responsiveness, a 10dB gain boost, active tone controls, master volume, switchable XLR output from -20dB to 0dB, effects loop, Neutrik Speakon® outputs and included triple-function footswitch. The 2-rackspace head measures 17”w x 3.5”h x 10”d and weighs 12 lbs. All of the controls and functionality of the dUg Ultra Bass 1000 reflect dUg’s personal, perhaps conceptually unusual, specifications. And that’s what makes it a dUg Pinnick Signature amp.